Bravecto® is an oral chewable tablet that kills fleas, prevents flea infestations, and kills ticks (black-legged tick, American dog tick, and brown dog tick) for 12 weeks and lone star ticks for eight weeks. For use on dogs at least 6 months of age and weighing at least 4.4 pounds, Bravecto® makes it easy to provide long-lasting coverage to your dog, without having to worry about remembering frequent treatments. With just one chew, your dog is all taken care of, so you can enjoy all of the activities you love to do together, without any worry for the dog. Make sure to tell your veterinarian what other medication you are giving to your pet. Quite often your veterinarian may prescribe two different medications, even if a drug interaction may occur. In this case, your veterinarian may vary the dose and/or monitor your pet more closely. Contact your veterinarian if your pet experiences any unusual reactions when different medications are given together. Allergic reactions to medications may occur. Be sure to inform your veterinarian if your pet has any known drug sensitivities or allergies. If your pet displays symptoms of an allergic reaction, call your veterinarian immediately or go to a veterinary emergency clinic. Symptoms may include but are not limited to: swollen lips, tongue, face, airways; difficulty breathing; agitation; profuse salivation; vomiting; widespread hives and itching. The most common adverse reactions recorded in clinical trials were vomiting, decreased appetite, diarrhea, lethargy, polydipsia, and flatulence. Bravecto has not been shown to be effective for 12 weeks' duration in puppies less than 6 months of age. Bravecto is not effective against lone star ticks beyond eight weeks after dosing. Bravecto should be given orally as directed by your veterinarian. Administer with food. My dog has always taken this medication very easily. I appreciate the ease of dosing but I just wish it wasn't so expensive for my three dogs. Works very well. Pets haven't had issues since beginning treatment with it. Seems to last as described. Helps my pets better than any topical med. first time using this product - Seems to work very well and very quickly! Easy to administer. Most times my dog will eat it as a “treat”, but on those days my little guy is being suspicious about pill time, I can crumble this into his food and we both are happy. Great value over purchasing from my local vet. I recommend this to all doggy lovers. Help keep your pet free from fleas and ticks. So far, I'm the only one suffering from the ticks. Have found two on me, none on the dogs. Must be working as advertised. 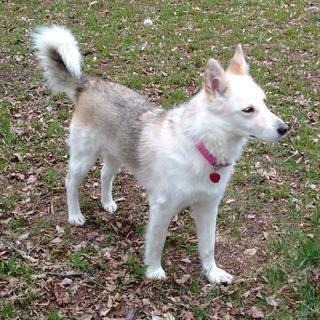 I don't know yet if it works to keep fleas and ticks off my girl (Siberian Husky mix) but I know this - she didn't like the taste of it and wouldn't eat it. I had to crumble it up and put it in food to get her to eat it (she kept spitting the 'pill' out). I like the convenience of not having to give her a pill every month or the liquid stuff down her back (messy and unpleasant!) but I wish she would have just ate it. The cost wasn't bad either. Easy to give, they all like the taste. Works great! Nice that it lasts 3 months. Haven't seen any fleas at all. Nothing better for the PA area.We pull dead ticks off the dogs for the entire 3 months.We never have fleas any more. Bravecto works great for my German Shepherd! He has allergy to fleas and a single bite can send him to the vet for steroid RX because he would not stop itching. I've been using Bravecto for over a year now. No ticks or fleas. No problem with digestion. I ordered Bravecto for 9.9 - 22 lb dogs. It's what my vet prescribed for my pup and I'm very pleased I can get the exact prescription at a reasonable price from KV Supply. It arrived quickly and I was updated about the status of the shipment. My dogs love the flavor. Works great. No surprises or substitutions. No out of date products. Very pleased. Appears to have killed the fleas on my dog overnight. It did give her some stomach discomfort over night even though given with food as directed. My dog's no longer scratching and has regained her appetite. No other reactions from the meds. Had to hide the pill in food to get my dog to eat it. Have been fighting flea's for two years and tried everything. Two different topical's, (One had a bad reaction to our dog), flea powder, flea soap, flea traps, yard spray, etc. I checked the dog every day and removed flea's manually. I even trapped and relocated 18 squirrel's, but nothing worked, until Bravecto. Within 12 hours of giving her your product, I couldn't find a single flea. That was over two months ago and she is still completely flea free. Never received my order so itâÂ€Â™s hard to review it. It didn't work 100%. We've had to pull a few ticks off 2 of our dogs. So best to keep on alert for ticks after using this product. We love KV Supply. The shipping was prompt and the prices beat all the competitors. The Bravecto is exactly like what we use to buy at our expensive vet. My dog got ugly red irritation where the liquid flea/tick was placed, and I don't like collars. He loves the taste. It isn't pricey when you consider if you live in the north he only needs three pills all year. I chose this item because it gives my pets relief through out the year! I live in the country and my dogs love being outside an in but I'm satisfied and stress free of them bringing in fleas and ticks in the house or the furniture. I highly recommend this product!! So at .62 cents a day it is truly worth the money. Every 90 days we purchase a chewable tablet and the website is user friendly. Pet appears to be allergic to collars. Works well for our dogs. Only need to give every 3 mos. Works very well! 1 yummy tablet for 3 months of protection. KV has the best price available on this item. pets take a tablet ever 3 months . easy to keep up with . I haven't found one tic on my dog since using this product!! Product works well, and I don't have any issues administering the chews to my two border collies. Never found a live bug on either of them. This was highly recommended by friends, Vets and the University Vet school. The ease of use. My dogs love them, I give one every 3 months, no greasy spot on dogs shoulders. My dogs have had no side affects from taking this medication. He loves the taste. I switched away from topical because it gave him a rash. Much easier to use verses the gooey stuff you put on their back. Bravecto works the best for ticks. Kills them right away...This is an awesome product and I recommend this for ticks 100%! Maisy had previously been prescribed this med for flea control. I like the convenience of a 3 month tablet! Easy to give my dogs a tablet every three months, than to deal with messy drops when they lay on the furniture. 1 pill/dose Protects dogs from fleas/ticks for 3 months. Great product, worth the price. Effective and easy to administer. Sandy's VET started prescribing this last year--it is expensive. I want to continue with the drug for a reasonable price. I switched to these when I moved to Colorado, and they work for my dog. Because I have a hard time with even chewable flea meds and using this one once every 3 months helps my finicky dog to take it. I have used Comfortis for years but I have found that Bravecto works better for fleas and now this dog goes into the woods so she needs to be covered for ticks too. I live in an area with ever increasing tick populations. Three years ago when Advantix stopped working for my two dogs I switched to Bravecto and have been totally satisfied! Effective for 12 week period. Recommended by a friend who had trouble giving their dog Trifexis. Quarterly and tastes better. BEST ANSWER: Yes, this is a prescription item. What if i just want it for my dog and don't want to go a vet? Can i buy? BEST ANSWER: You can purchase this with a veterinary prescription only. Need brovecto fleas pills for dogs? BEST ANSWER: You may order at any time on line or you may call in to place your order with one of our customer service representatives at 1-844-493-6817. I need bravecto for cats? BEST ANSWER: I apologize, we only have Bravecto for dogs. We would suggest contacting your vet for assistance. You may order online or we are happy to take your order over the phone. Please call us at 1-844-493-6817 Monday through Friday 8am to 8pm Eastern time. BEST ANSWER: Hi there! If you do not have a refill number, just choose a method to contact your veterinarian when you input all of your pet and veterinary information. KV Supply can either fax, call, or you can mail in a written prescription to our pharmacy! are all Bravecto sizes priced the same? BEST ANSWER: Yes, all weights are reflecting the same price for one tablet. However pricing does change often on medications. How many doses are in package?